Strix Group Plc (LON:KETL) has made an offer for certain assets of HaloSource Corporation for c. $1.3m (c. £1.0m). HaloSource’s technology is focused on water filtration. Its astreaTM One reusable drinking water bottle is the only one currently certified to remove lead, a significant issue in the US, to the NSF-53 Standard. 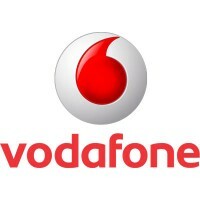 The business was listed on London’s AIM market and the shares were suspended on 20th December 2018 due to the failure to raise financing to fund it as a going concern. Whilst there can be no certainty that a deal will happen, today’s statement alludes to it being subject to conditions, it appears to be opportunistic, adding a new technology which it can exploit through its Aqua Optima brand, for very little cost. We leave forecasts unchanged until the deal completes, and the Company provides further detail. This is likely to be at the time of the FY18 results (21st March) when management has stated it will provide further guidance on the new factory. Strix has confirmed that FY18 results are in line with expectations (ZC PBT forecast £29.1m) in a trading update (22nd January). On FY19 estimates, pre-any changes on the back of today’s announcement or the factory move, the shares trade on c. 10.0x and yield 5%.  New technology should benefit diversification: Kettle controls account for c. 90% of revenue. Deals, such as the one proposed, should drive diversification into other areas of the business in a low risk cost effective manner. Aqua Optima has been successful over the last eighteen months, by winning mandates with major retailers, increasing its market share in the UK to c. 20%. The addition of assets from HaloSource adds interesting new technology, a new product in astreaTM One (already commercially available) and potentially opens a significant new geography of the US for the wider Aqua Optima brand. With recurring revenue from replacement filters it fits nicely with the existing AO business model. Investors interested in the product should visit www.astreawater.com.  Forecasts unchanged: FY19 and FY20 forecasts are unchanged on today’s statement. This does not reflect a view of the potential impact but waiting until completion and management provide greater detail makes sense especially when considering the small scale of the deal. FY18 results are due 21st March and ZC will introduce FY21 forecasts at that time. 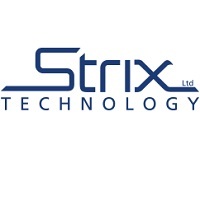  Valuation: Strix yields c. 5% on a dividend that management has committed to grow 10% to 7.7p in FY19. On earnings the shares trade on c. 10.0x against a peer group on over 15x.